It’s often said that the public domain is a wonderful archive for filmmakers of all levels to use with budget in mind, but more often than not, actually navigating the archives in search of the material that meets your needs is easier said than done. From outdated and poorly designed sites to subscription-based archives at a cost, usually with the time it takes you to find what you’re looking for you realise you may have been better off just buying a track or clip instead from a much easier to navigate pay site the likes of The Music Bed or Audio Jungle. Pond5.com has done something interesting as an addition to their ever-expanding royalty free archives: they’ve decided to construct sections for photos, videos, and songs in the public domain, 100% free of charge to download. 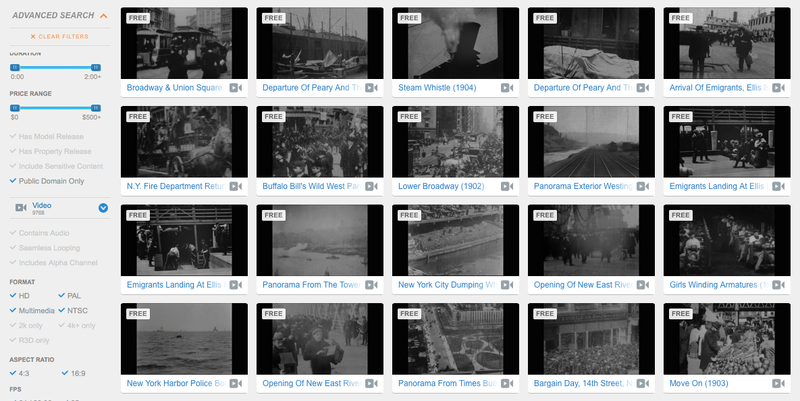 While Pond5’s paid archives already include over 150,000 4K video clips (including 3,000+ .R3D files), you can now preview in full and download at no charge over 10,000 video clips from the public domain, as well as nearly 2,400 songs and more than 64,000 images. They even have over 120 3D models free to download in their archives. 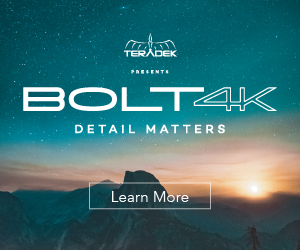 All this along with the aforementioned UHD videos, countless aerial clips, timelapses, corporate B-roll, action cam shots, all totalling over 3.3 million videos in total. On top of the video selection is over 7,700 Adobe After Effects project files to act as templates for lower thirds, infographics, 3D elements, and more. While a large number of the clips available originate from 8mm and 16mm film cameras, archival footage should not typically be ruled-out as unusable off the basis of image clarity. As films like the recent independent hit Anomaly show, mixing archived film clips with digital shots (RED Epic in their case) can be done with great effect to both add production values and sell a period piece more effectively. In the same sense that handheld shots can sell realism by mimicking news or documentary style coverage, the seamless integration of actual news and documentary footage adds a sense of legitimacy to your scene. Footage from the Civil Rights Movement, Space Race, presidential campaigns, times of war and growth of industry are all available in spades, both in black & white and colour, all from an intuitive and responsive search system that rarely frustrates. If your next edit calls for an opening of the history books, Pond5 may very well have you covered.